To round a number to the nearest 10, look at the units digit. If the units digit is 5 or more, round up. If the units digit is 4 or less, round down. The last digit in 356 is 6. So we round it up to 360. The last digit of 352 is 2. So we round it down to 350. 475 ends in a 5. We always round a 5 up. So 475 rounds up to 480. To round a number to the nearest 100, look at the tens digit. If the tens digit is 5 or more, round up. If the tens digit is 4 or less, round down. 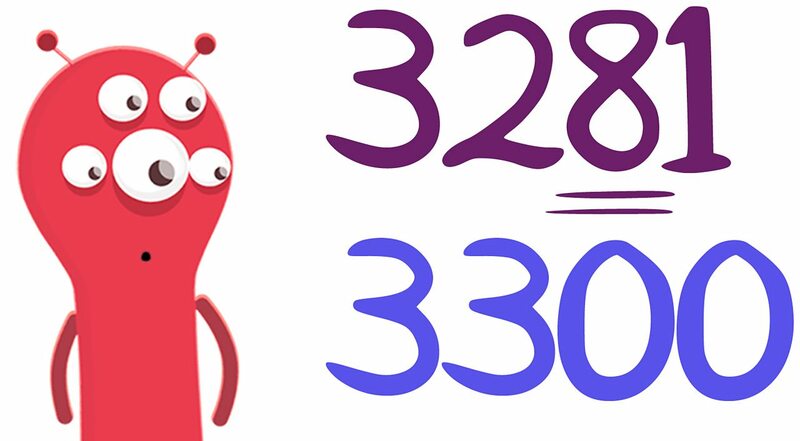 The tens digit in 3281 is 8. So we round it up to 3300. When rounding to the nearest 100, 3281 becomes 3300. To round a number to the nearest 1000, look at the hundreds digit. If the hundreds digit is 5 or more, round up. If the hundreds digit is 4 or less, round down. The hundreds digit in 4559 is 5. So we round it up to 5000. The hundreds digit of 4295 is 2. So we round it down to 4000. What is a number sequence?